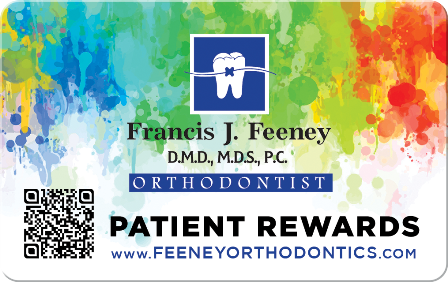 Dr. Francis Feeney has been providing excellent orthodontic care in Ludlow, MA for more than 20 years. You’ll receive a personalized treatment plan customized to address your unique orthodontic goals and needs. Your smile and your treatment experience will exceed your expectations! Find a beautiful smile at Feeney Orthodontics! Our knowledgeable staff strives to make your visit as pleasant as possible, from the moment you step off the elevator to the time you book your next appointment. We pride ourselves on making patients our number-one priority! Modern orthodontic treatment with state-of-the-art metal braces, clear braces, and Invisalign® clear aligners makes getting a beautiful smile easier and more comfortable than ever! We believe that getting a beautiful, functional smile should be affordable to everyone. We offer interest-free financing and customized payment plans, and we’ll work with you to make your treatment fit within your budget. Let us help you get the smile you’ve always wanted. Please contact our Ludlow orthodontic office to schedule a complimentary consultation with Dr. Feeney and learn about all your treatment options. Call today!